The night air was cool and crisp, quite contrary to the day. The darkness was deep, as civilization was far beyond the horizon. The silence was deafening, save for an occasional "rattle" from a nearby dead rattlesnake blowing in the wind. Armed with UV lights, two small groups slowly crept through the desert. "There's one!" shouted someone from one of the groups. Evading the prickly flora, the two groups quickly came together encircling a neon green scorpion. "Look, he's in his attack position." After marveling for a moment, the two groups separated, looking for more critters. Eventually, when everyone had their fill of scorpions, they returned to the campfire. Leisurely, as the night went on, one by one, people retired to their tents and campers that were haphazardly scattered around the "base camp." After Amy and I had downed a bottle of wine around the fire and finished marveling at Van Gogh's "Starry Night," painted overhead, we too returned to our tent, planning the next day's events. 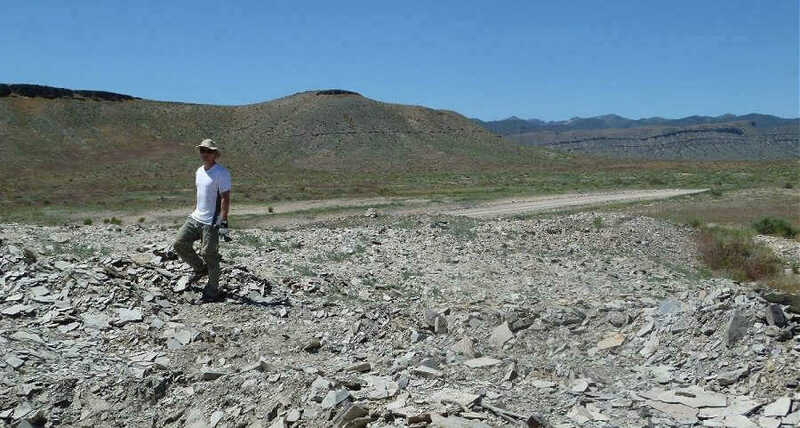 Tomorrow would be a busy day of digging, as this was the 2nd Trilobite Jam and we were camping in the House Range of Utah, a world famous trilobite locality. 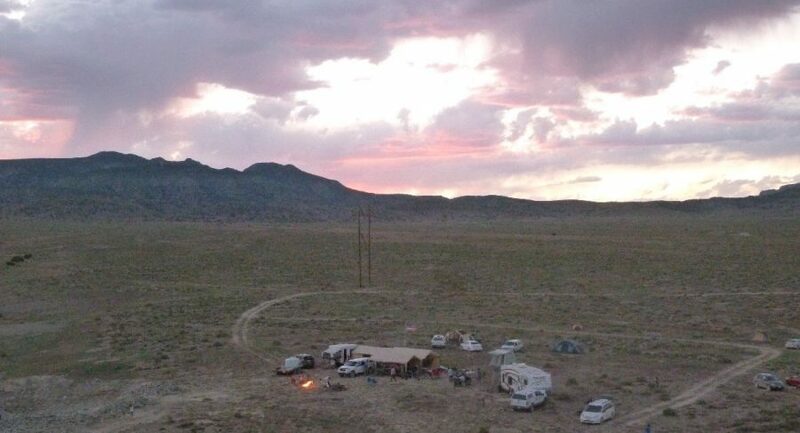 The American Trilobite Suppliers generously host a 4 day "Trilobite Jam" at one of their properties in Utah. Their property in the House Range contains the Wheeler and Marjum formations. 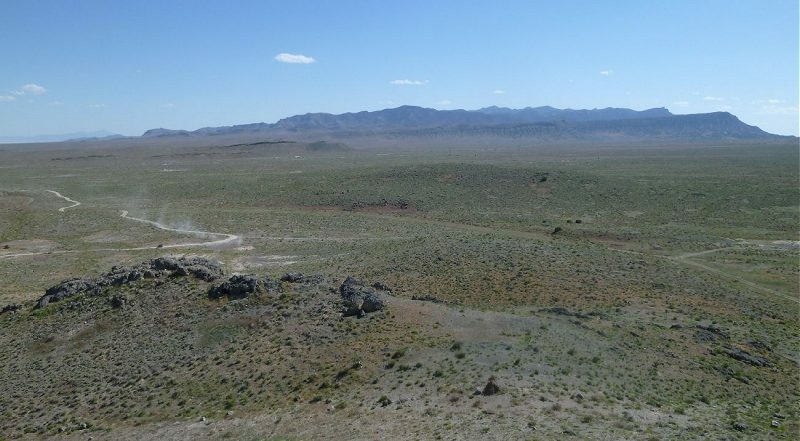 They have numerous small quarries dotting the property exposing the two Cambrian formations. The Wheeler and Marjum formations at the House Range are world renowned. 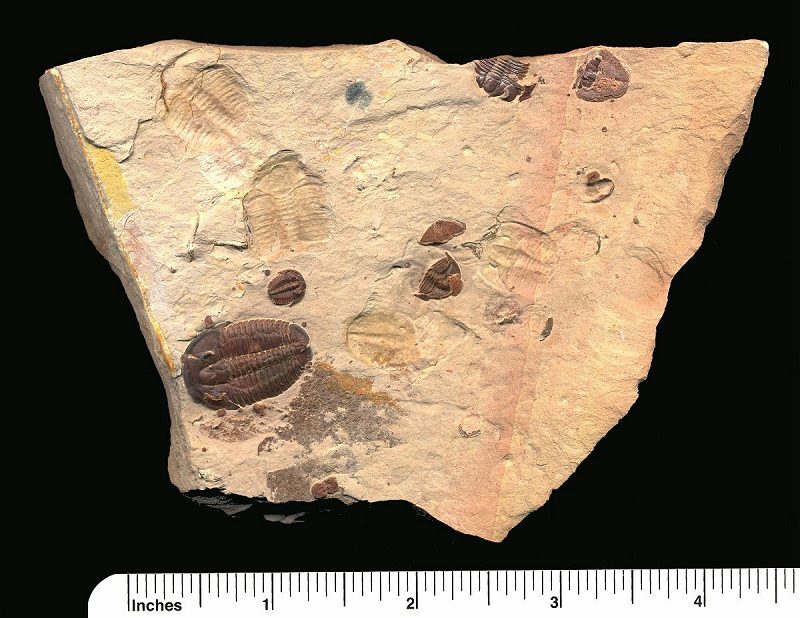 The Wheeler shale supplies the world with Elrathia kingii trilobites, probably the most well known trilobite on earth. 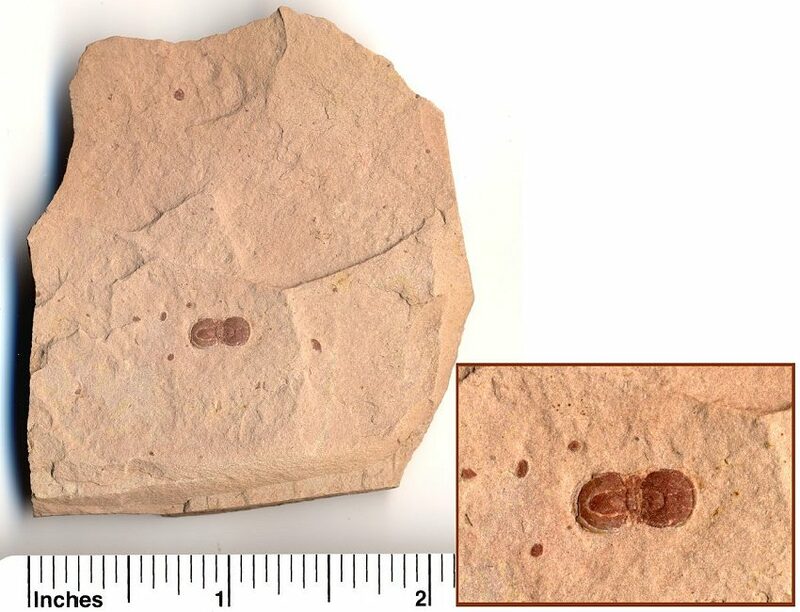 Other trilobites include Asaphiscus wheeleri, small agnostid trilobites such as Peronopsis, and the rare Olenoides nevadensis with cool axial spines. Besides trilobites, there is an echinoderm called a Gogia spiralis that looks like a water hydra with little plates all over it. The wheeler shale produces bugs that range in colors from black and orange to a beautiful red! The Marjum formation has some rare, beautiful, and large trilobite fossils! These include Modocia sp., Bathyuriscus fimbriatus, the 5" Hemirhodon amplipyge, and the prized 6" Olenoides superbus with its incredible axial spines! Each day, we picked a couple different quarries to collect at. We picked one for in the morning, took a short rest, food, and water break in the extreme heat of the day, then headed to one or two more in the late afternoon. Then in the evening we headed to a spring a few miles away to wash up. 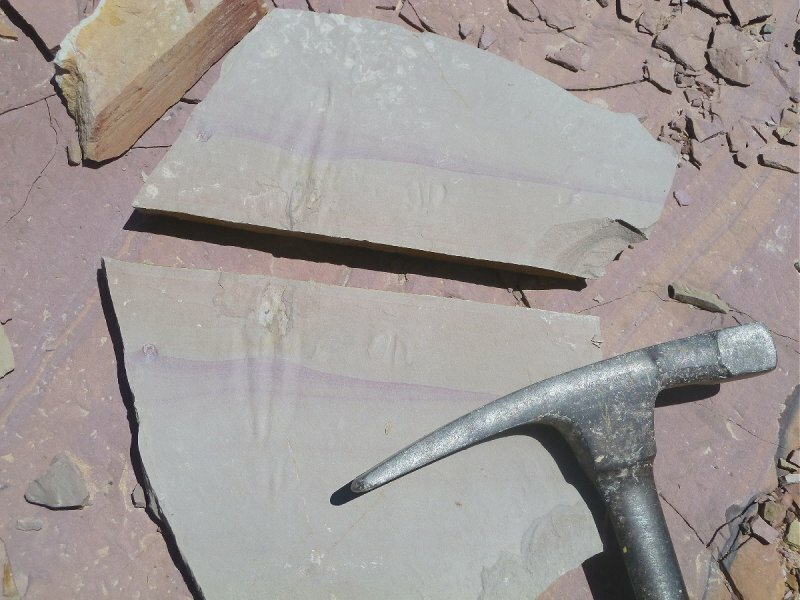 Since this was our first time in this type of fossil shale, we mainly stayed in quarries that had the more common trilobites. As novices here, we were unable to tell which specimens would be complete when prepped. We learned later that we carried way more back to the camp than what actually turned out to be great specimens. We ended up brining home two boxes of specimens. Most of them turned out to be cheekless, headless, or crushed. However, we still ended up with eight complete ones (minus the dozen or so agnostids and some tiny Elrathia). 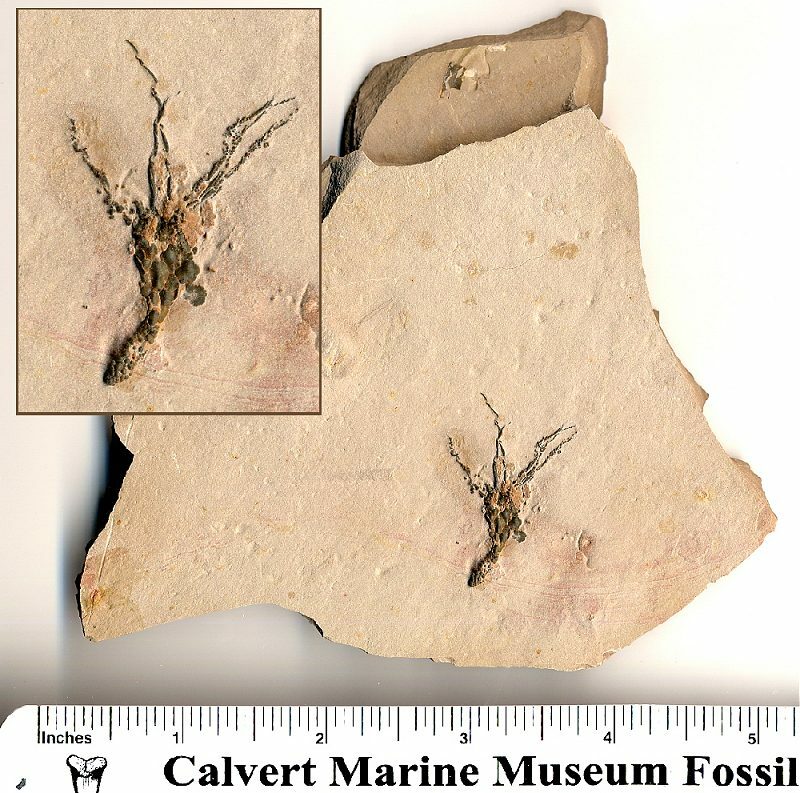 The best one is a beautiful complete ~3" carmel colored Asaphiscus wheeleri specimen. The event was run very well and the site couldn't have been better. Jason, Jake, and the rest of the crew did a wonderful job hosting the jam. They were all incredibly friendly and helped out in any way possible! Below are tons of photos and a sample of some of the trilobites and other fossils from the Utah trip. 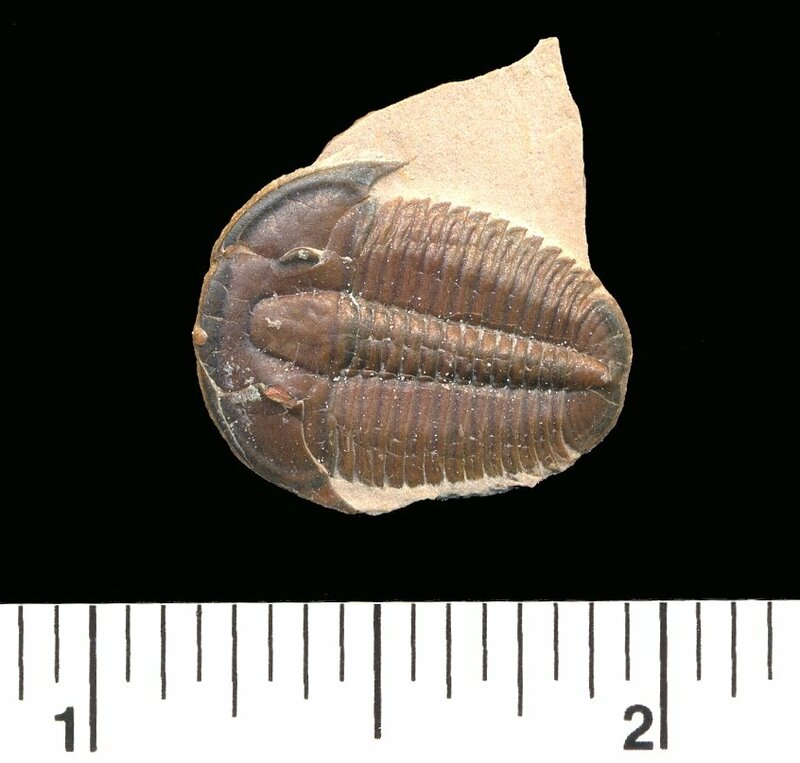 Where to find similar Trilobites: To try and find your own trilobites, I would suggest going to the U-Dig quarry. To learn about some of the Trilobites found during the trip, and trilobites in general, visit the Trilobite Gallery. 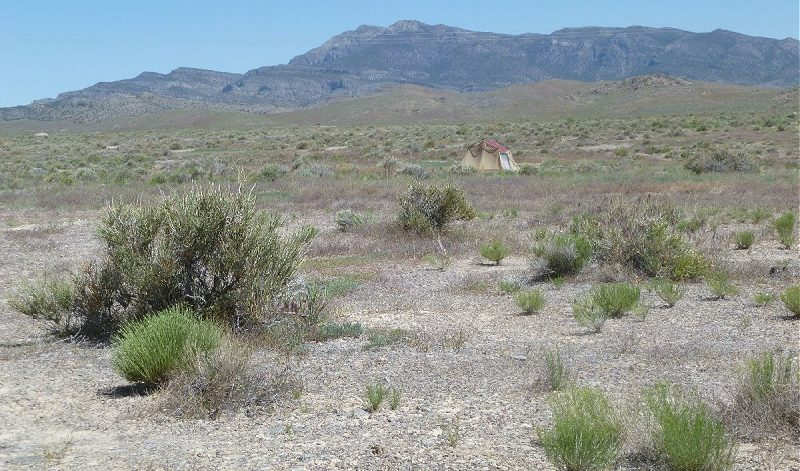 The living quarters for the week of the Trilobite fossil hunt. We were mainly living off of MRE's and LOTS of water! A view of the "Base Camp" from a nearby hillside. These are two scorpions shown under UV light. Their exoskeletons fluoresce under UV light. 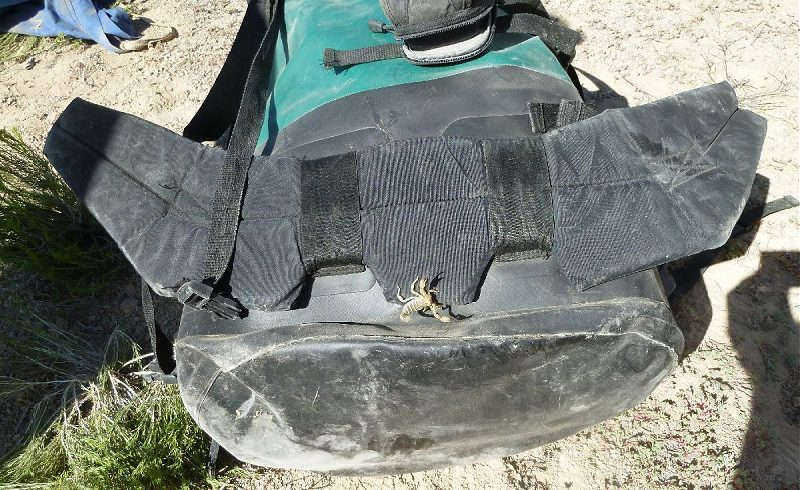 Check your gear before starting the day! You never know where an attack scorpion may be hiding! 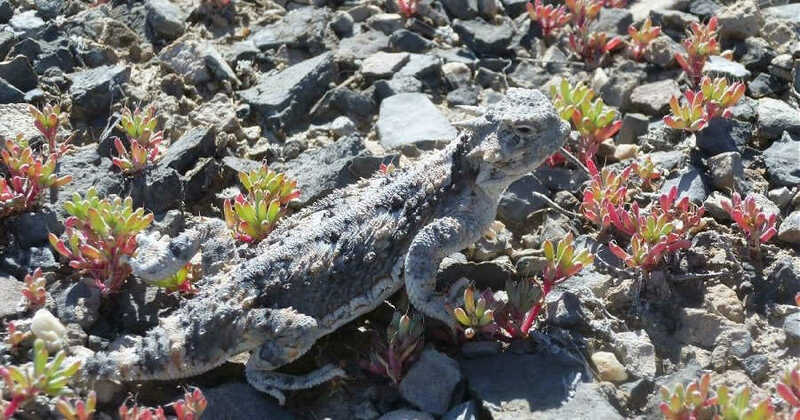 This was our guard dog, a Horned Toad Lizard. He protected our tent from scorpions... At least that's what we told him to do! 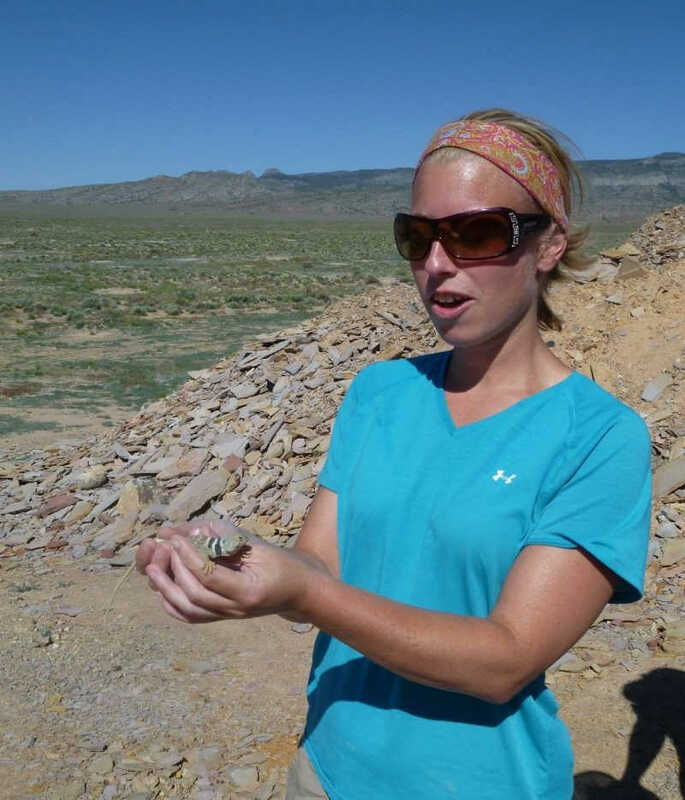 Amy is holding her new friend, a Collard Lizard. He was hiding under a rock in one of the quarries. 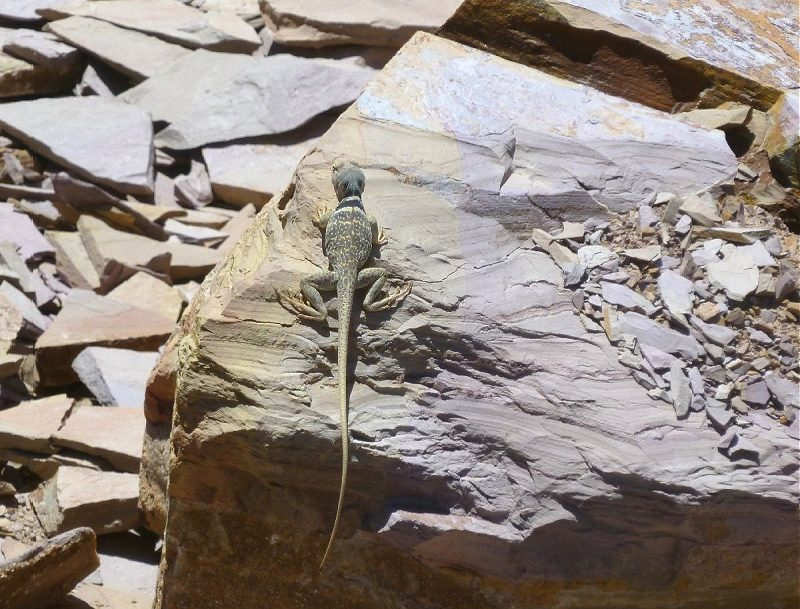 Collard Lizards love to hunt for trilobites. I'm scouting at the 'Bathyuriscus Bonanza' quarry looking for fosisl trilobites. 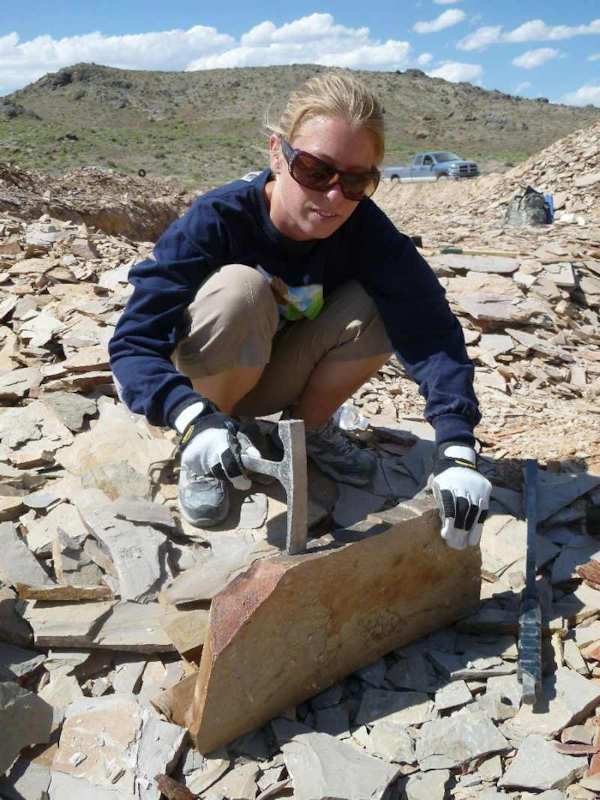 Amy is splitting Wheeler shale. Here is an accumulation of cheekless Elrathia trilobites. Most are cheekless molts. Occasionally one with cheeks can be found. These are two Elrathia trilobite fossils with cheeks. Here are some Asaphiscus wheeleri trilobite pieces. The one to the lower left had the tail end smashed up, and couldn't be fixed. The other one to the right glued back together pretty nice. However it is missing its cheeks. This is one of the Gogia specimens that we found. It is a type of early echinoderm. 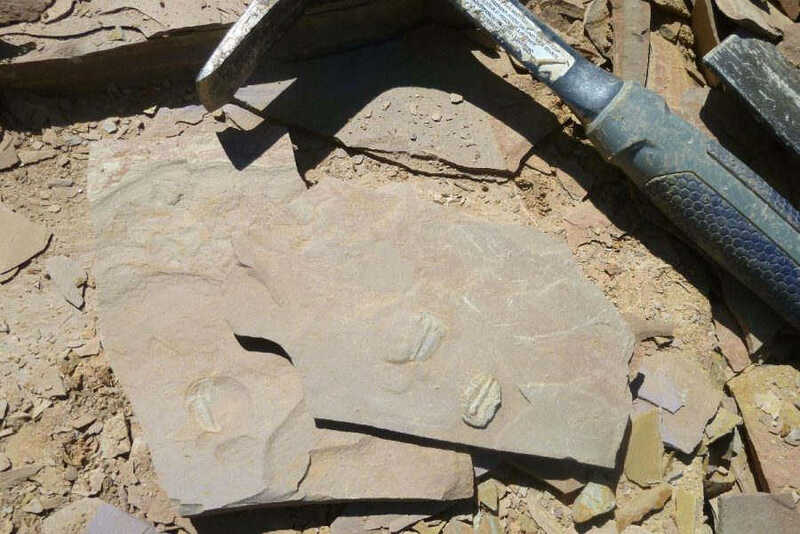 These fossils are found in the Wheeler Formation. This is the large Asaphiscus wheeleri triolobite as found. It's slightly below the rock, you can see the outline. 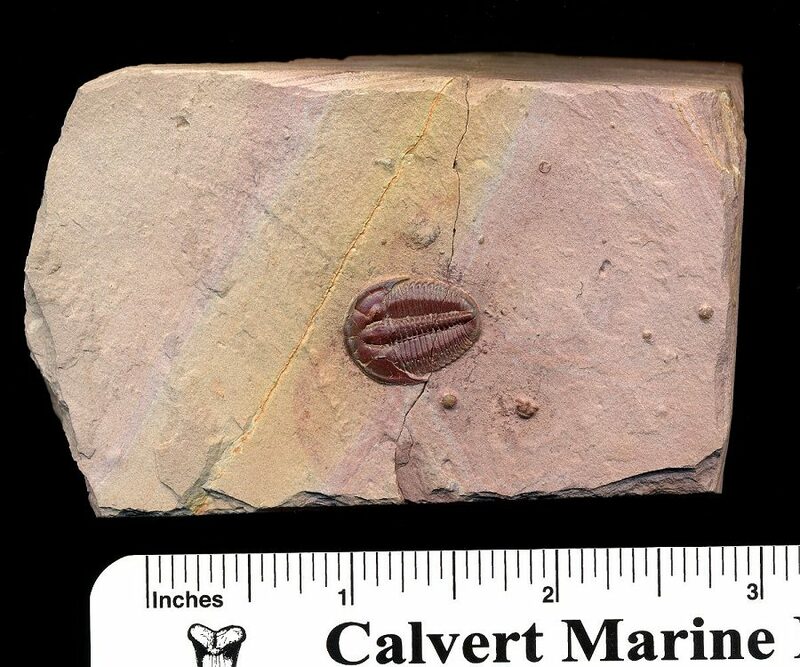 This is the best Asaphiscus wheeleri trilobite fossil I found from the trip. It has a beautiful chocolate color and is huge; 2 7/8 inch long. This is a time-lapse video of the trilobite fossil preparation sequence of the 1 3/4" asaphiscus wheeleri. 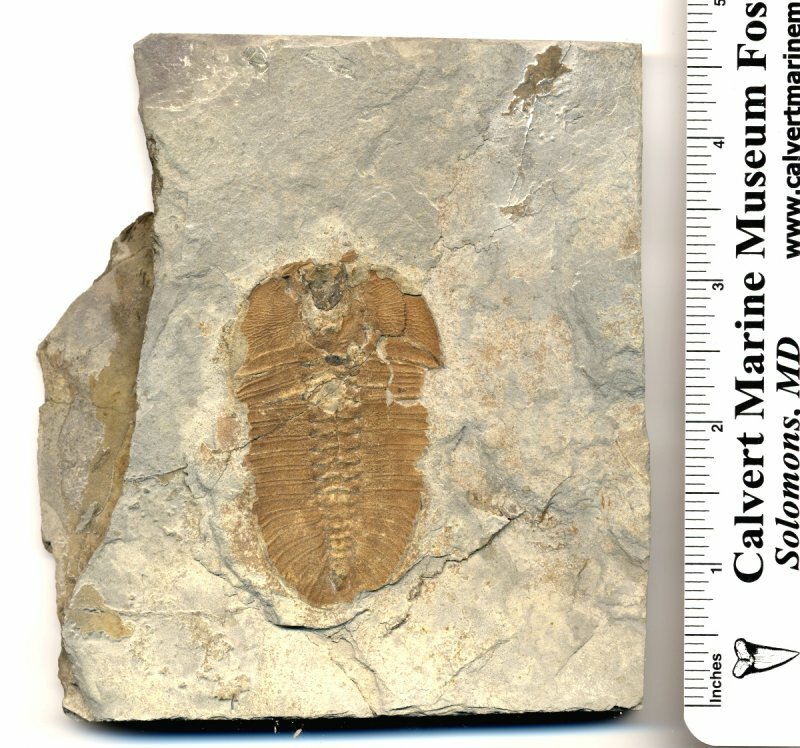 This is a Bathyuriscus fimbriatus trilobite from the Marjum Formation. Ihis 2.5" specimen is complete, but poorly preserved. Here is another red Elrathia trilobites after being prepped. Yet another Elrathia trilobite fossil after being prepped. Here are a few red Elrathia trilobites after being prepped. These rockhouding book series are great because they give detailed information including color images, directions, and even GPS coordinates. 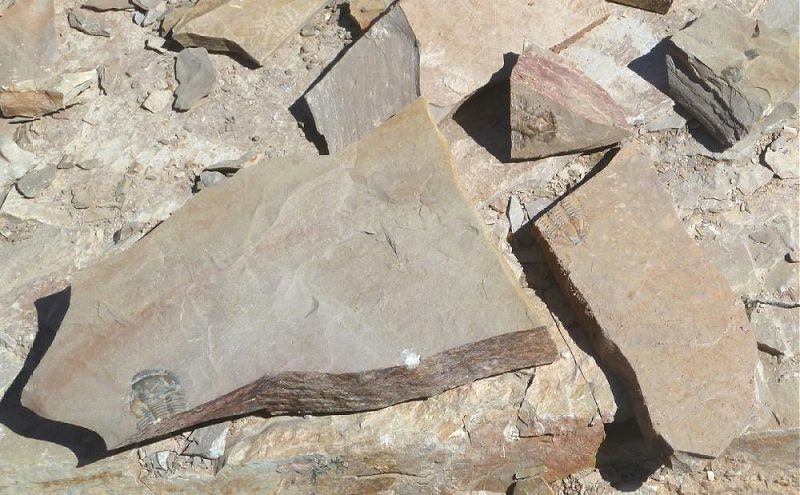 The rockhounding books concentrate on minerals, but also have some fossil locations included. The book use to have 86 sites, but now has 69 sites because the Escalante National Site made 17 sites unavailable. Trilobite fossils are some of the most beautiful and collectible fossils in the world! There are countless species and colors of trilobites and they make beautiful display and conversation pieces. Common ones make very affordable for gifts to fossil and paleontology enthusiasts. 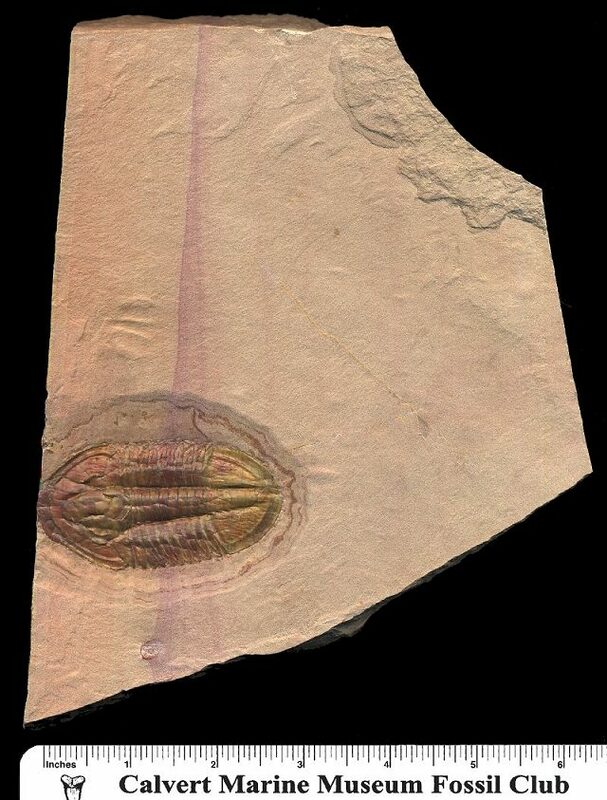 Fossil Era has a huge selection of top quality trilobites from many states and countries. It's fun just to browse through the inventory and look at all the different types!